The following obituary was taken from the Beckley Post Herald. Thursday, July 4, 1940. Hinton, July 3 - Charles Novel Gwinn, assistant county superintendent of schools of Summers County for the past five years, died at 11:00 o'clock Tuesday night in the Mt. Alto Veterans Hospital at Washington, D.C. where he had been confined for some weeks. His death was attributed to cancer from which he had been suffering for about seven years. The greater part of the past year had been spent in the veteran's hospital at Huntington and Washington. Some weeks ago physicians and specialists advised members of his family that every treatment known to medical science had been used in futile efforts to check the dread malady, and that his death was only a matter of time. Since his admission to the Mt. Alto hospital about a month ago, Mrs Gwinn had remained in Washington to be near him, and she will accompany his remains to Hinton. Funeral arrangements had not been completed Wednesday afternoon. He graduated from Bethany College with a Bachelor of Arts degree in 1921, and immediately afterwards accepted an appointment as mathematics teacher and athletic coach at Hinton High School. He is credited with organizing the first football team in recent history of the Hinton High School, and providing the impetus which earned for his teams, and those of his successors, a niche in state footballs's hall of fame. Leaving Hinton in 1923, he taught for two years at Greenbrier Military School at Lewisburg, then returned to Hinton to serve as teacher and coach until 1926. Appointed principal of Hinton High School in 1927, he served in that capicity until 1933, when he was stricken ill and given a leave of absence. Returning in 1935 he was appointed assisantant county superintendent, a position he held until his death. As a matter of courtesy and with full cognizance of his critical condition, the board of education reappointed him to that position at its regular meeting last Monday, and designated an acting assistant superintendent to serve in his stead. He earned wide recognition as a coach, as an educator, and as a school executive, and was held in high esteem by a very wide circle of friends and associates, in many sections of the state. Active in civic and fraternal affairs,, of the city, he was a charter member of the Hinton Kiwanis Club, serving as its president in 1935, was affiliated with the local Masonic lodge, the Loyal Order of Moose and the B.P.O.E., and was a member of the Central Baptist Church. Born at Meadow Creek April 4, 1898, the son of Atkins and Zelda Gwinn, he was a member of Summers county's pioneer families. Orphaned early in life, he made his home with his grand-mother (Elizabeth Gwinn). He attended Marshall College from 1913 to 1917 prior to his enrollment at Bethany, and while at Bethany enlisted in the Student Army Training Corps, and affiliated with Theta Beta Pi fraternity. He was awared a Master of Arts degree by Columbus University in 1933. 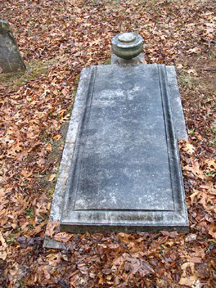 He is survived by his wife, the former Miss Moody Allen, and one sister, Mrs. E.B. Fox, of Summers Street.